Create Ball Track Structures with Stacking Planks. No rules play promotes creativity and problem-solving. 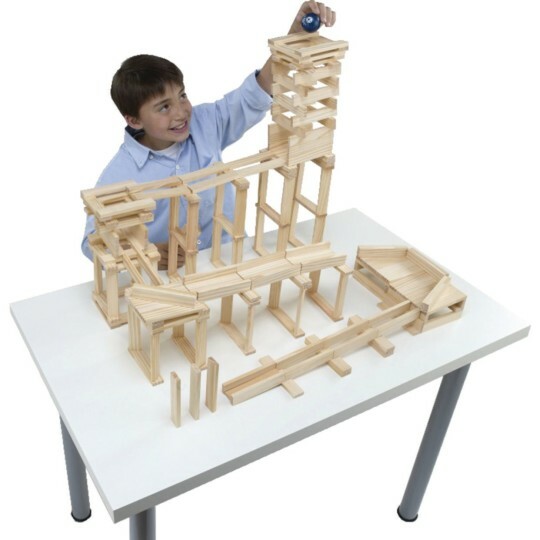 Teach an early understanding of physics and engineering. No glue or connectors - careful planning is essential. Kids learn to take their time and hone fine-motor skills. Create unbelievable ball track structures with simple stacking planks. Open-ended, no rules play promotes experimentation, creativity and problem-solving – key mental skills for aspiring engineers and architects. 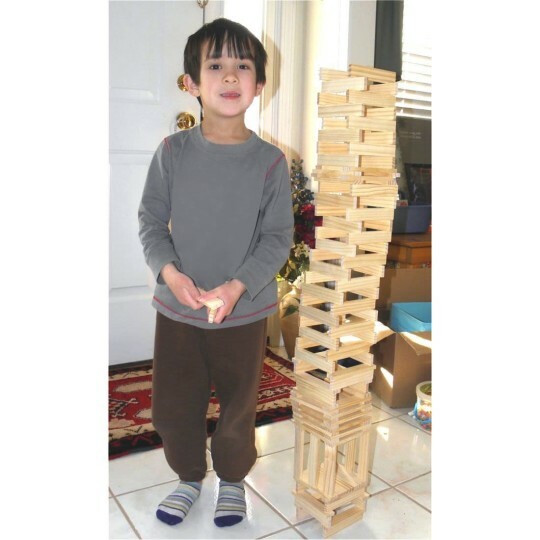 Through trial and error, kids gain an early understanding of physics and engineering concepts like balance and structural stability. And with no glue or connectors to eliminate the threat of collapse, they learn to take their time, build carefully and hone fine-motor skills. Includes 200 pine planks, 2 balls and an idea bookley. For ages 7 and up. 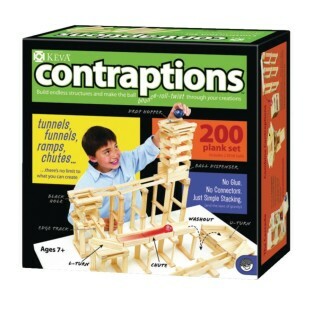 Contraptions is an exceptional tool that offers my students an engaging way to develop their engineering practices. Even those that start with a deficit in the area can easily follow the directions provided and create a functioning project. From there I have observed my students applying their newly acquired skills and methods to build their own structures. Multiple state standards can be presented and assessed using this tool. My students have never enjoyed their assessments so much. Our members are able to strengthen their engineering skills by building various structures. It is part of STEM. Loved this product. plenty of pieces to share between students. Great to pull out when other classroom activities are finished. The 4 year olds are able to stretch the activity to meet their learning needs. Was exactly as described. I should have read full description though. No assortment in size or shape. Younger kids easily bored with it.